Blast off for adventure! Citrusy for Florida…El Dorado for Texas and Galaxy for…well, you know. 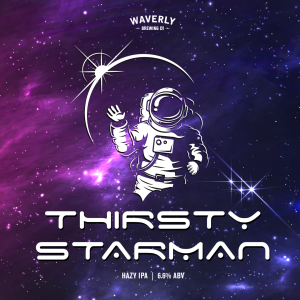 Join the Thirsty Brewer as he’s strapped onto a Falcon Heavy and launched into high dry-hopped orbit. Pils, oats, wheat and a touch of lactose meet hazy Vermont Yeast.